I have been a bit lax in posting, but not in baking. I’m going to rush to catch up on some of my recent creations. I also had ‘bunny bums’ which was just the rabbit’s backside heading down the rabbit hole. After having fiddled around last Easter to make full bunnies, just doing their bottoms, two legs and tails was a cinch. There were also cards, teapots and cups, and Mad Hatter’s hats. I actually can’t wait to do these ones again! 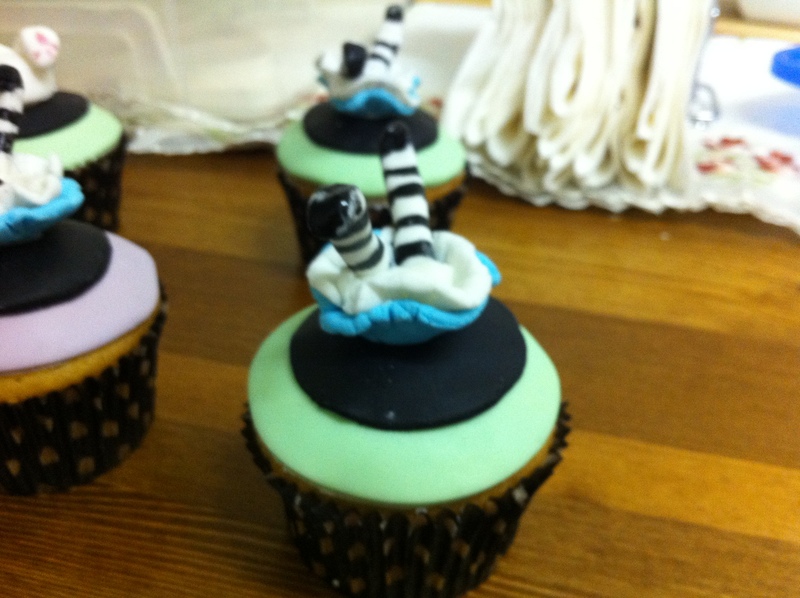 I need someone to have an Alice themed party. Any takers?